Maybe you are having troubles while using the extension? If so, removing it and installing a new version is always the first step- way to go! If you are looking to remove the extension entirely, we're sorry to hear that but I do hope you'll let us know what you thought about it. 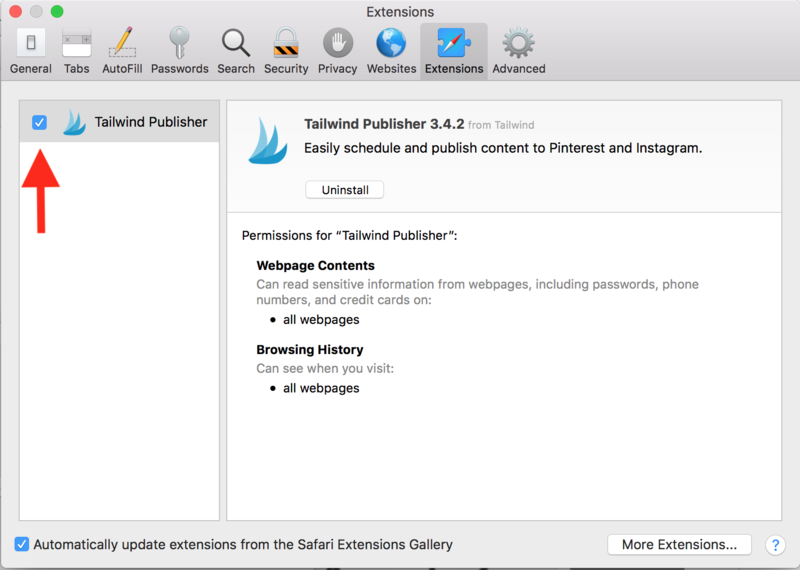 Go to your Safari Extensions Menu (located in Safari's Preferences and Settings). 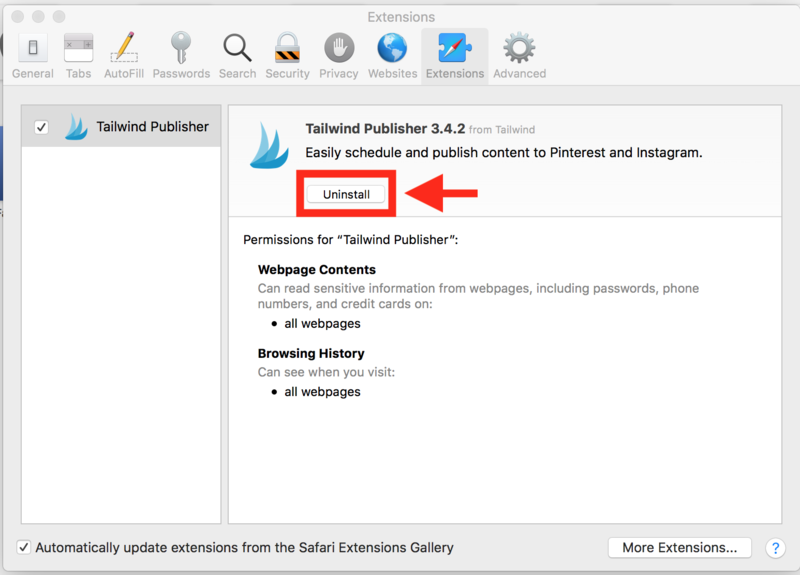 Find Tailwind Publishing Extension and click the Uninstall button to remove the extension from your browser. Oh-no! Having troubles with using the extension, not to worry these common fixes almost always fixes things right up. If not, please contact us right away and we'll be happy to help! The first thing we always recommend is to remove the extension and to try a new fresh install. Please see above for instructions on how to first Remove the Extension and how to Install the Extension. 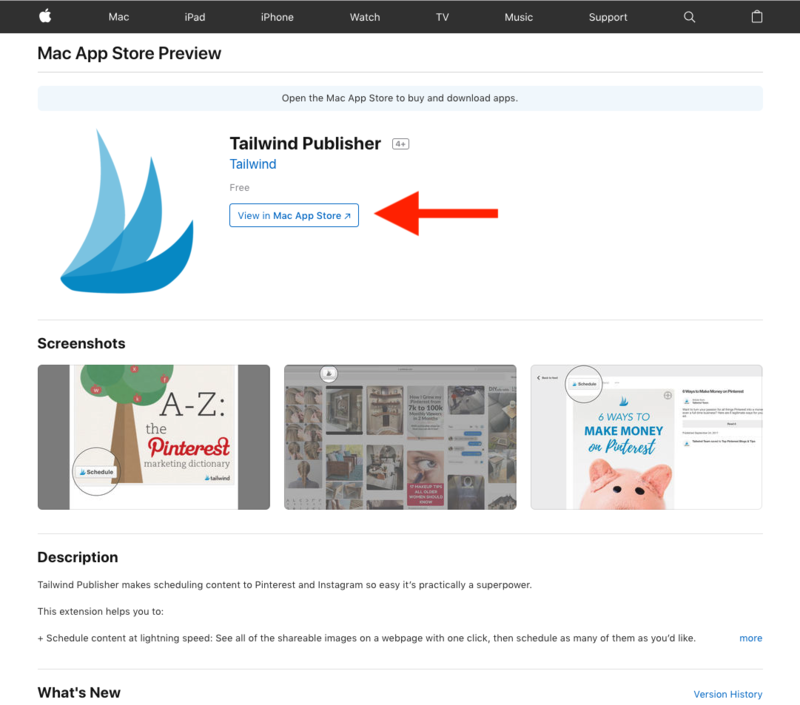 The second thing we suggest is to clear the cache, or previous stored versions, of the extension from Safari. Go to Safari's tool bar and click Safari, select Clear History and in the pop-up box click Clear History. Helpful Tip: We also recommend choosing all history from the clear drop-down. 3. 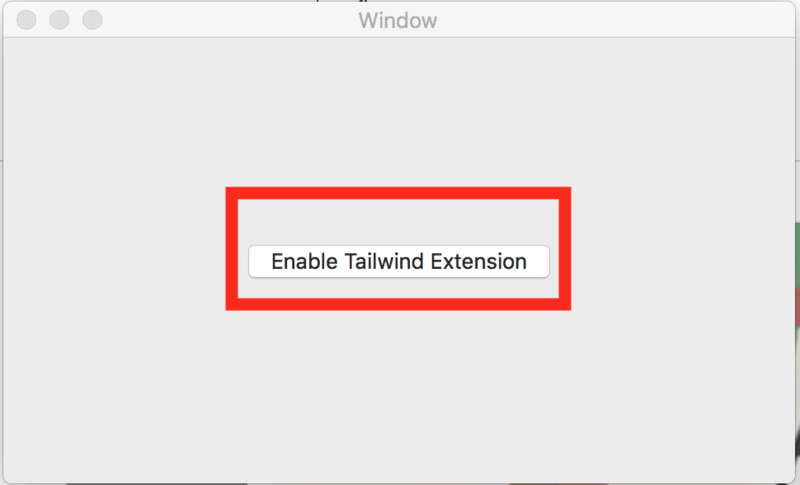 Other questions you can ask yourself to see if there might be a problem are: Do I have other extensions installed that could make Tailwind's not work? 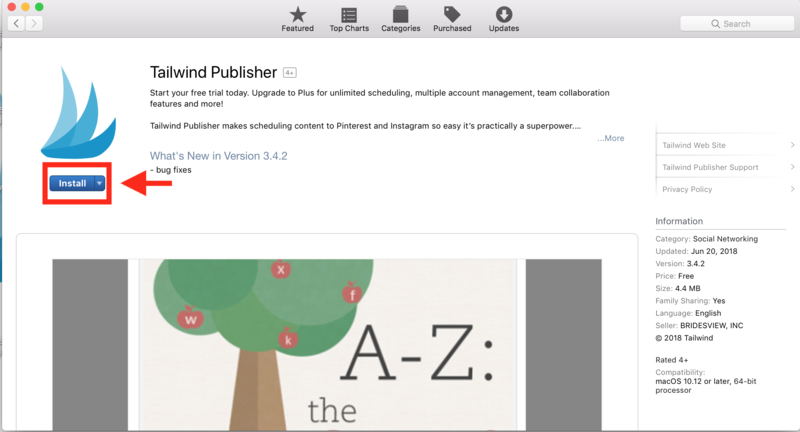 Does the Pinterest Pinning extension also product the same troublesome result?